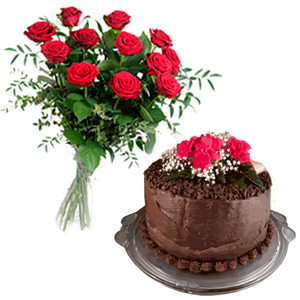 These roses and cake duo is perfect for that little bit more. Please note that the cake will be in a cake box, so we cannot put flowers on the cake. Please allow us 2 working days for this delivery, you can change the colour of roses, from Red - White - Yellow - Pink - or Mixed Roses.